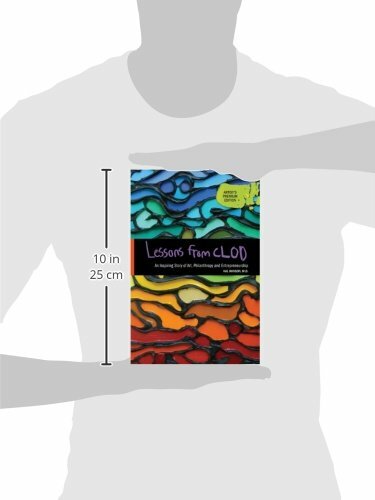 ARTIST’S PREMIUM EDITION – Hardcover, printed in full color, using more vivid inks and higher quality paper to fully appreciate the artwork. 268 pages. 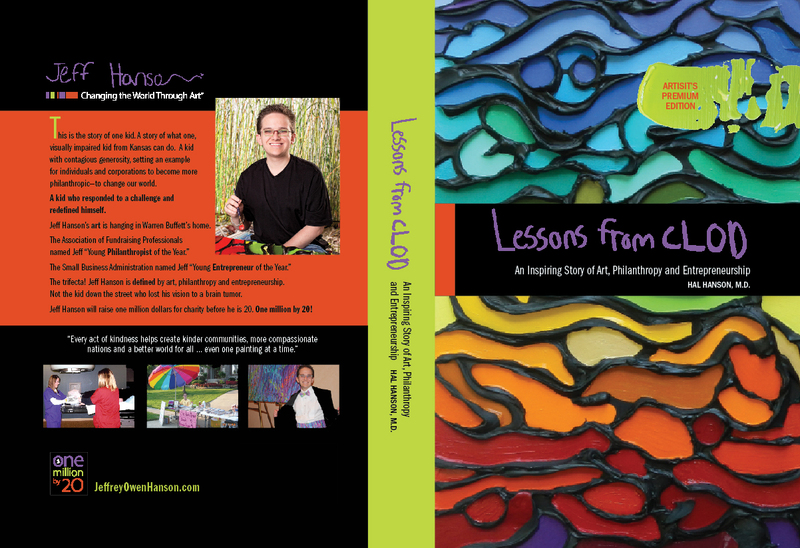 A biography of artist Jeffrey Owen Hanson and his journey beyond adversity. This is the story of one kid. 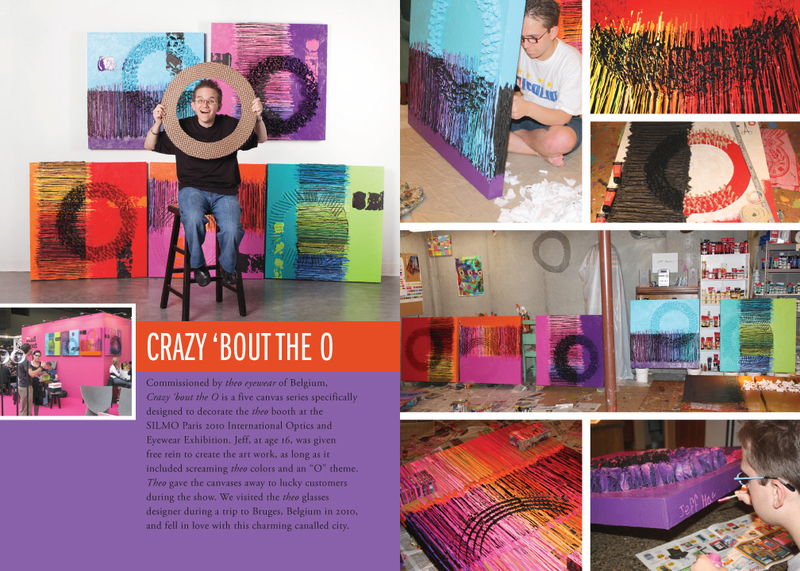 A story of what one, visually impaired kid from Kansas can do. A kid with contagious generosity, setting an example for individuals and corporations to become more philanthropic–to change our world. A kid who responded to a challenge and redefined himself. 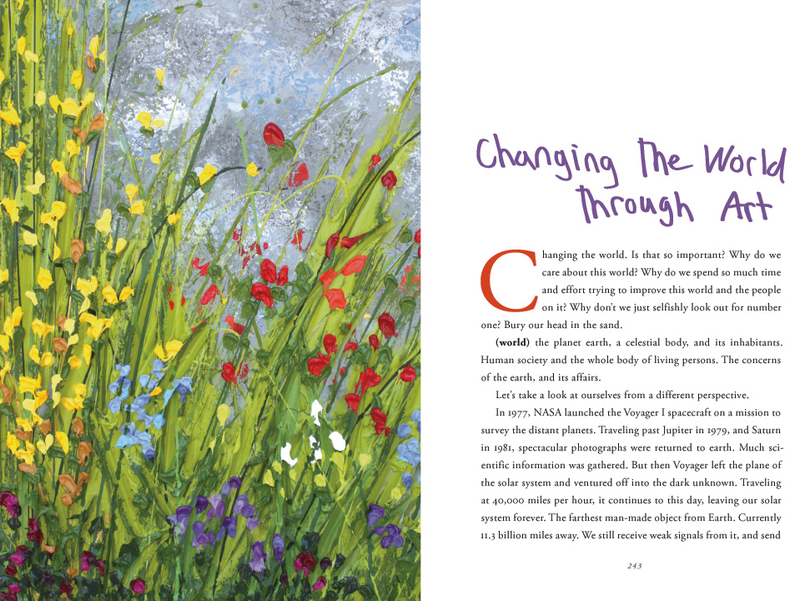 Jeff Hanson’s art is hanging in Warren Buffett’s home. 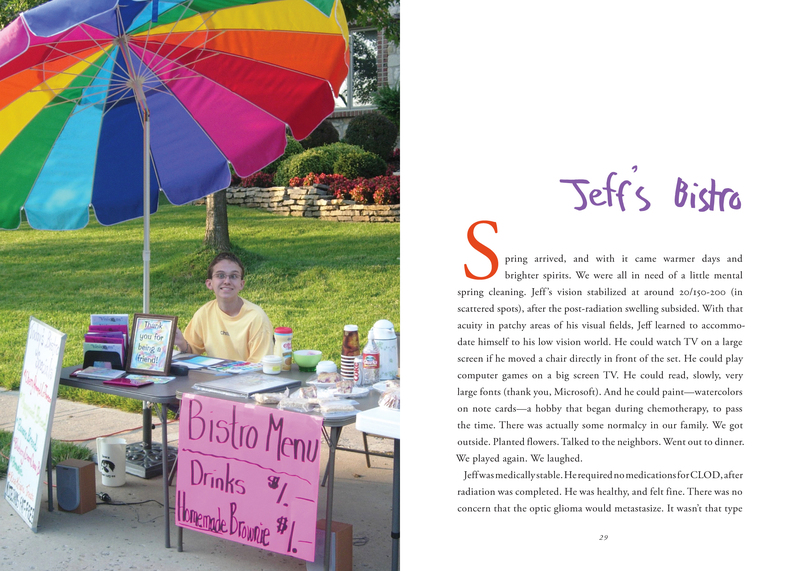 The Association of Fundraising Professionals named Jeff “Young Philanthropist of the Year.” The Small Business Administration named Jeff “Young Entrepreneur of the Year.” The trifecta! 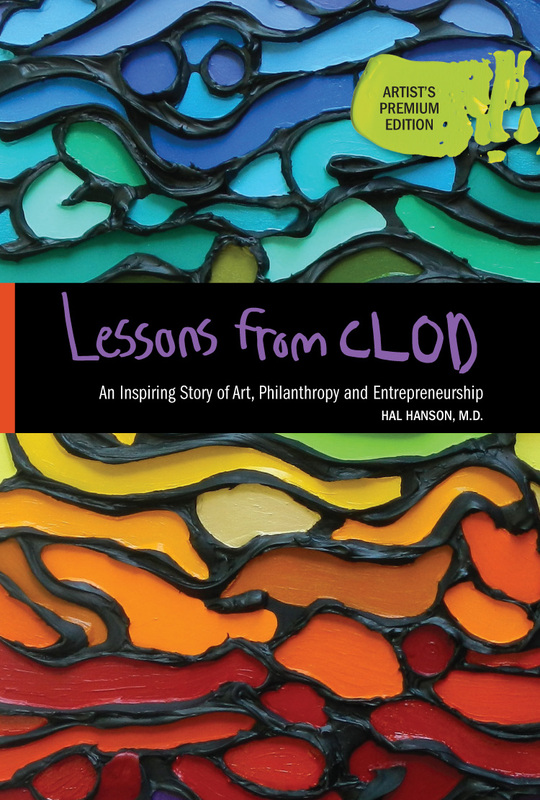 Jeff Hanson is defined by art, philanthropy, and entrepreneurship. Not the kid down the street who lost his vision to a brain tumor. 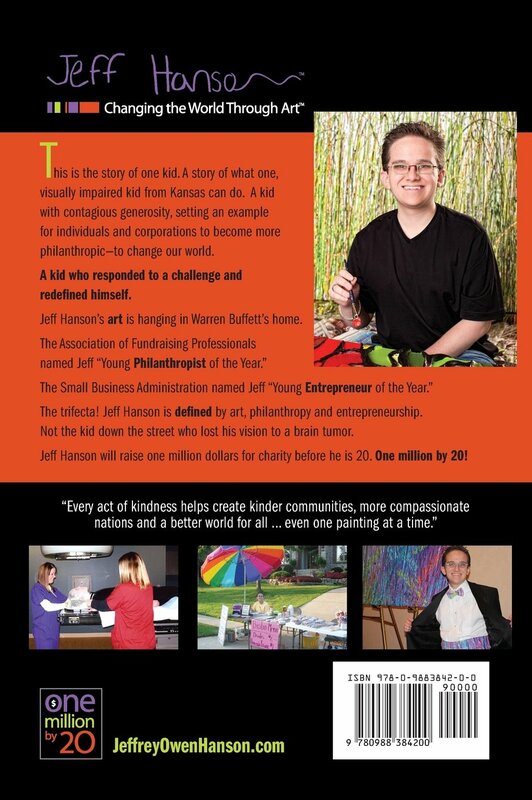 Jeff Hanson will raise one million dollars for charity before he is 20. One million by 20!